Fishing regulations for Yosemite National Park follow those set by the State of California, including all anglers 16 or older have a valid California fishing license. The season for stream and river fishing begins on the last Saturday in April and continues through November 15. The only exception is Frog Creek near Lake Eleanor, where fishing season does not open until June 15 to protect spawning rainbow trout. The late opening includes the first 1/2 mile of Frog Creek up to the first waterfall, including the pool below this waterfall. Yosemite National Park, which boasts nearly 95 percent designated Wilderness, is a 195-mile escape from urban San Francisco or a 315-mile journey from Los Angeles. The expansive park’s 1,169 square miles are home to hundreds of wildlife species and thousands of Yosemite plants. Designated a World Heritage Site in 1984, Yosemite is known for its granite cliffs, waterfalls, clear streams, giant sequoia groves and biological diversity. Two Wild & Scenic Rivers, the Tuolumne and Merced rivers, begin in the park and flow west to the Central Valley. Both rivers provide anglers with some of the best wild trout fishing in the Sierra Nevadas. Yosemite National Park embraces a tract of scenic wildlands set aside in 1890 to preserve a portion of the Sierra Nevada which extends along California's eastern border. Within the borders of Yosemite National Park exist the headwaters of two rivers in the Nation's Wild & Scenic System of Rivers. 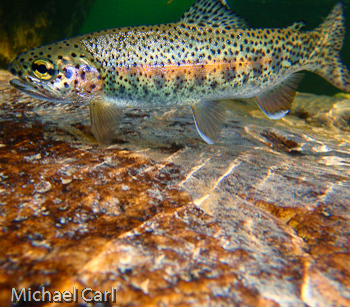 Yosemite National Park is home to a vast and healthy population of wild trout. And if you are a wild trout which loves clean, cold flowing water (which trout doesn’t), the Upper Tuolumne River has got it in spades. The Tuolumne River originates from two forks – the Dana Fork and the Lyell Fork. Both forks source from the huge snowpack that accumulates along the high peaks along Yosemite's eastern boundary. If you have driven Highway 120 between Tioga Pass and Tuolumne Meadows chances are you have seen the Dana Fork flowing just outside your car window. The Lyell Fork flows a bit further south of Highway 120. These two forks meet in Tuolumne Meadows and continue a slow, steady meander before plunging and cascading over large rock faces down to Glen Aulin and on to the Grand Canyon of the Tuolumne River. Also within Yosemite park boundaries flows the Merced River which is not managed. Read - the National Park Service has halted the practice of planting trout throughout Yosemite including the Merced River. That said, the opportunity to catch wild trout exists here. The Merced River inside Yosemite holds a good number of wild brown trout. Have you ever wanted to push the boundaries of your fly fishing experience? 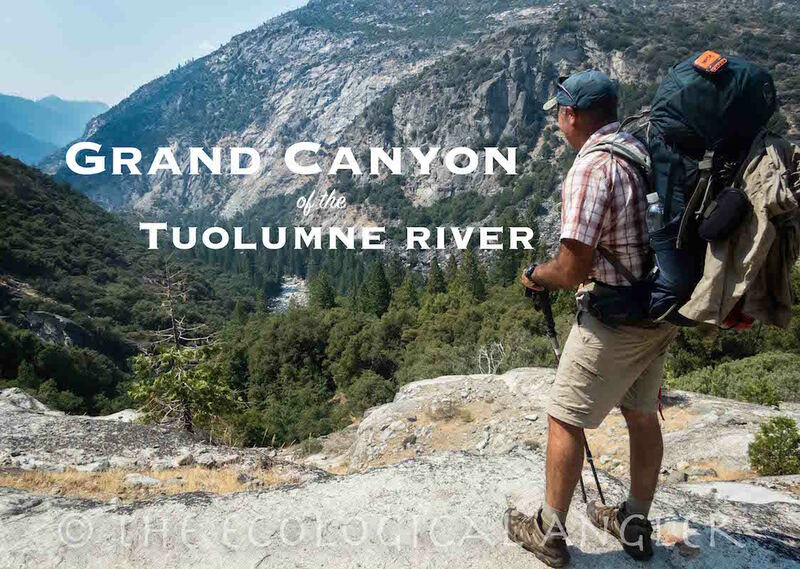 The Grand Canyon of the Tuolumne River might be the place to consider.